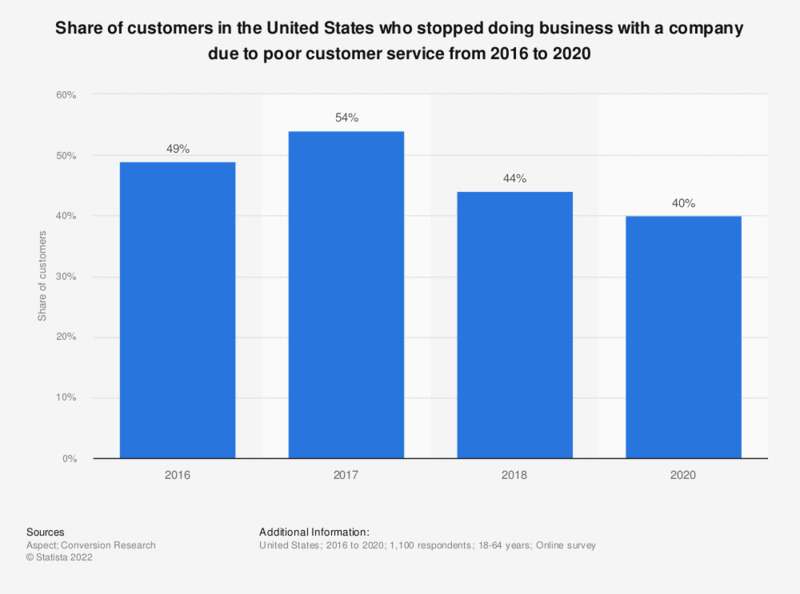 This statistic shows the share of customers in the United States who stopped doing business with a company due to poor customer service from 2016 to 2018. During the 2018 survey, 44 percent of customers stated they stopped doing business with a company due to poor customer service. Values prior to 2018 were taken from previous editions. Everything On "Customer service in the U.S." in One Document: Edited and Divided into Handy Chapters. Including Detailed References. Which of the following customer service channels do you prefer? Do you feel there are opportunities for you to be promoted and/or advance in your career at the customer service center where you are currently working?